The short answer to this question is yes, of course, but there’s much more about senior online dating that warrants discussion. A disclaimer is appropriate since I met my partner online three years ago and my attitude about senior online dating is influenced by my success using it. But there’s an abundance of positive information about online dating so this isn’t remotely just my opinion. Most, if not all of the venues where younger singles go to meet other singles are either inappropriate or unappealing to seniors. Bars and clubs, the mainstays of young singles meet-ups, are unlikely to yield positive results for seniors, most of whom became weary and wary decades ago about alcohol-fueled dialogue. The upside to online dating for seniors is there are literally millions of other seniors available online, so the likelihood of meeting a life partner is real. 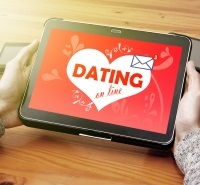 Statistics abound regarding online dating for seniors, but perhaps the most relevant is that 25% of seniors know someone who met their partner online. And since there are approximately 30 million single seniors, that’s a significant number of success stories. There are some potential stumbling blocks senior women in particular might encounter dating online, and every senior woman who makes the choice to date online owes it to herself to be aware of them. There are in fact scammers who prey on women online for money. But this is easily avoided by simply deleting anyone who even mentions either money or problems they need help overcoming at any point in communicating. No legitimate dater ever mentions either issue, ever. Delete these men immediately and report them to the dating site to spare some other woman unnecessary grief. Enough said about the few bad apples. The pain most senior women endure dating online is the emotional letdowns that are so common. There are far more senior women available online than men, which automatically makes online dating more favorable to men since their choices abound. This shouldn’t dissuade women from dating online however, but rather just let them know upfront that it may not be entirely smooth sailing on their journey to meet a guy. Knowing how to navigate senior dating sites is the key for women to even the odds. “I’ll call you” is perhaps the most overused line that men say to women, and it’s frequently uttered before meeting in person, after meeting in person, and even after dating for a while. But women have years of practice looking into each other’s hearts in their tight knit, long-term friendships, so when a woman hears “I’ll call you”, her immediate response should be to look that man in the eye and ask him, “when”? Few men are capable of returning the gaze and not being honest. Knowing what to look for in a man or a woman is the real trick to online dating success. Men tend to make the process more difficult than women. Few fill out their online profiles, making choosing a guessing game. I suggest my date coaching clients make a short list of their best qualities that define them. I urge them to use their lists to seek out men with the same qualities. The results are surprisingly good. Forget the old, debunked chestnut that opposites attract. While initially they may, those relationships rarely ever work out. Most importantly, never, ever settle. “You’re too picky”, means you know what you’re looking for and won’t settle for less. I’m a major fan of match.com. I recommend it to all my clients because it offers the greatest number of available singles. It also has some unique features, such as instant chatting and the ability to talk on the phone without either person giving out a phone number. There are a few other possible places seniors can go to look for other single seniors. 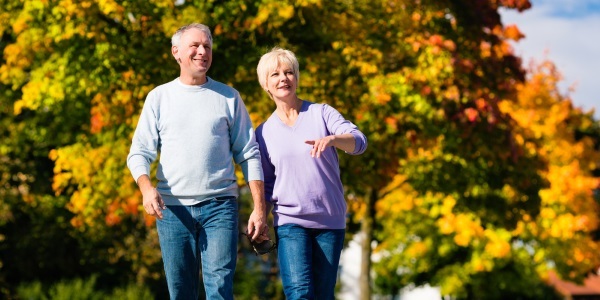 Every community has activities specifically aimed at seniors; dining and cooking groups, hiking and biking clubs, theater, art, lecture series, and certainly volunteering. It’s entirely unnecessary to feel lonely when online dating and other avenues for meeting a life partner abound. Now that you know more about the great advantages online dating has to offer to senior singles, you should make sure to check out these great senior dating sites.